The Beatles were a rock and pop music group formed in Liverpool in the year 1960. They are probably the most popular and successful group of all time. The band members were: John Lennon (rhythm guitar, voice), Paul McCartney (bass, voice), George Harrison (solo guitar, voice), and Ringo Starr (drummer, voice). Initially their musical style was rooted in 1950s rock and roll and skiffle. Throughout the years their musical style and clothing evolved, making them trend setters. 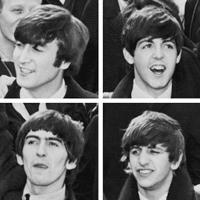 Between 1962 and 1970 The Beatles sold over 400 million records worldwide. Vote and help decide which albums were the greatest. 9 The Beatles - Help!